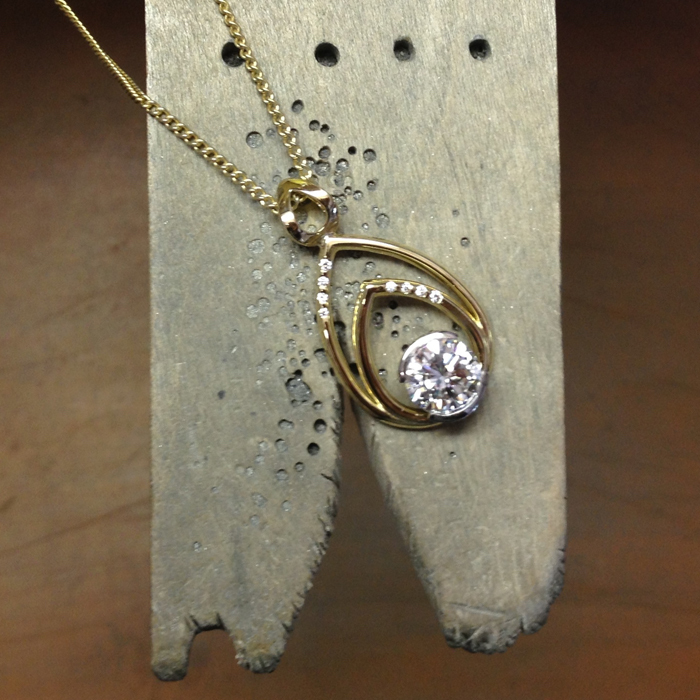 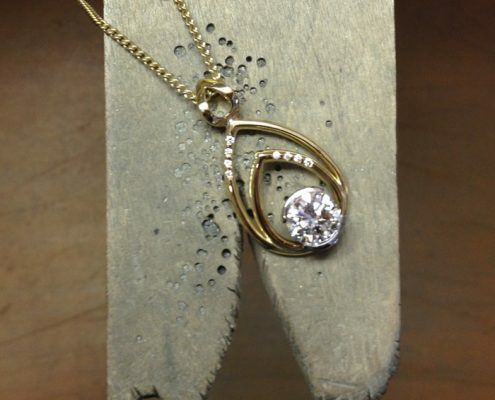 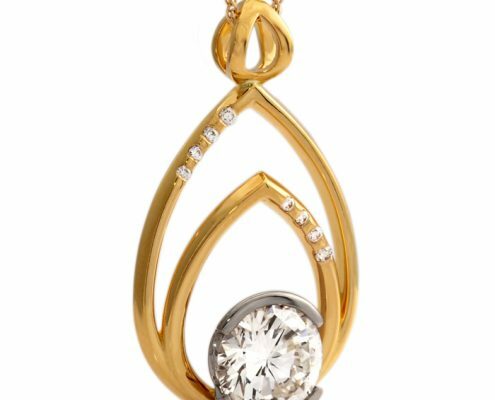 This beautiful 18ct gold pendant and matching earrings set was commissioned using the clients own Diamonds re-used from unwanted jewellery. 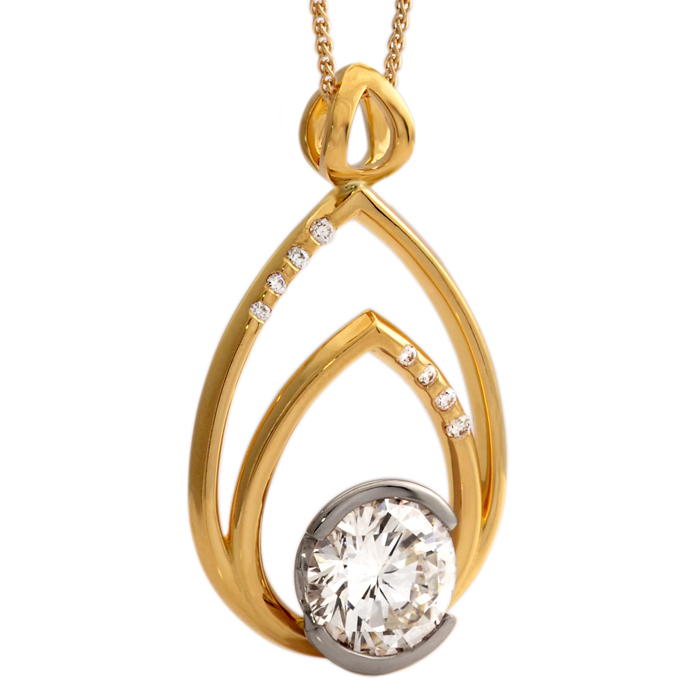 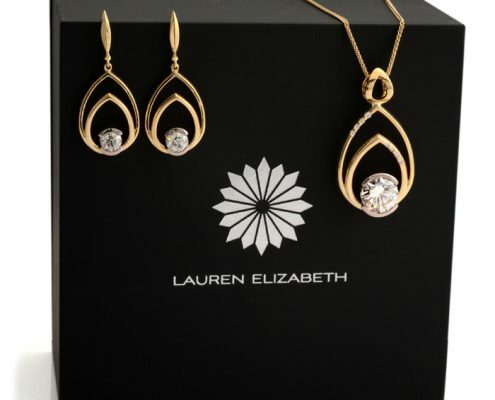 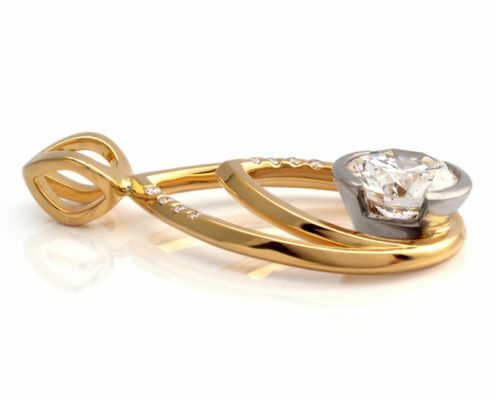 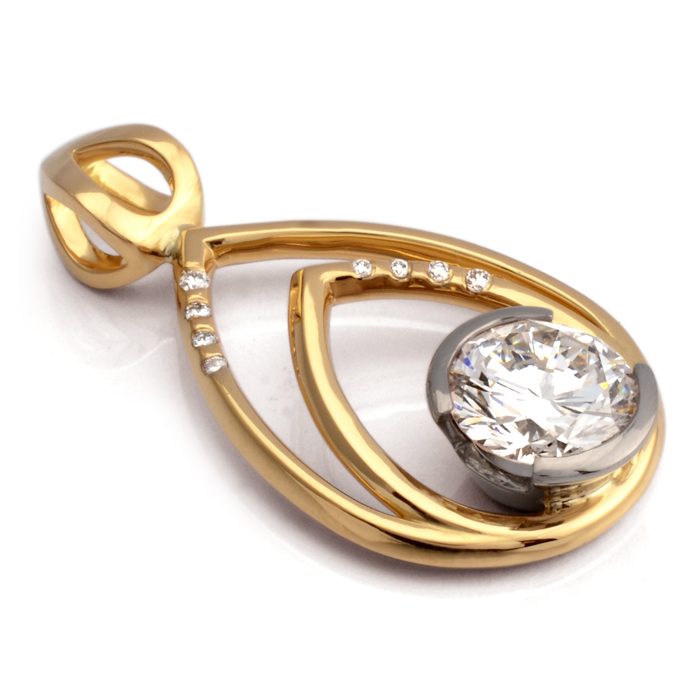 The design took inspiration from Lauren Elizabeth’s ‘Utopia Pendant’, with faceted arcs radiating outwards from a central anchor point, where a dazzling 3.4ct round brilliant white Diamond is housed. 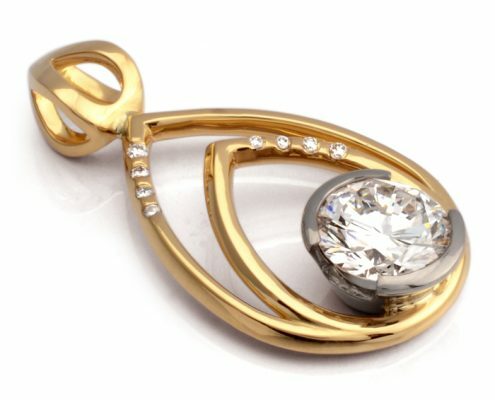 The half-bezel set centre stone is accented with 0.07ct part flush set graduating white Diamonds on the outer arcs. 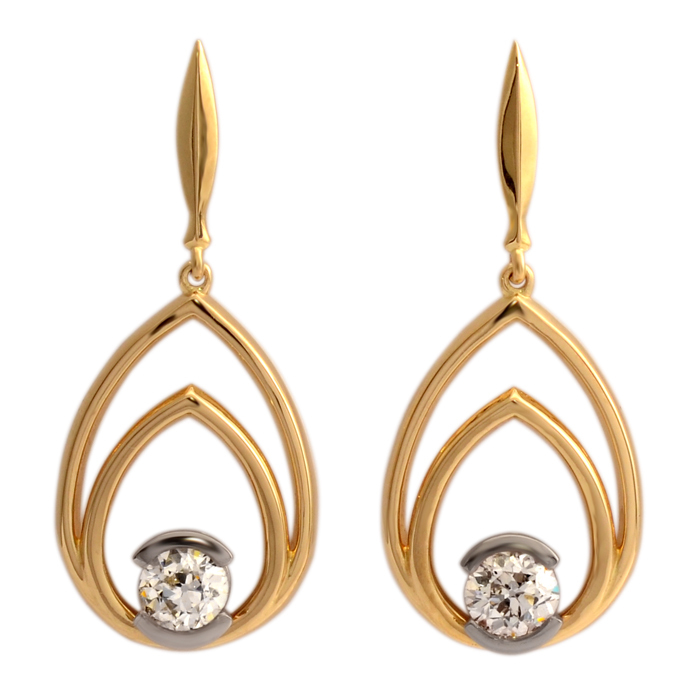 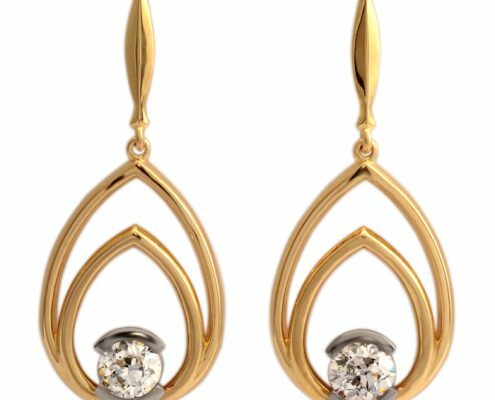 The matching drop earrings feature 1.10ct round brilliant white Diamonds, set into white gold to echo the pendant. 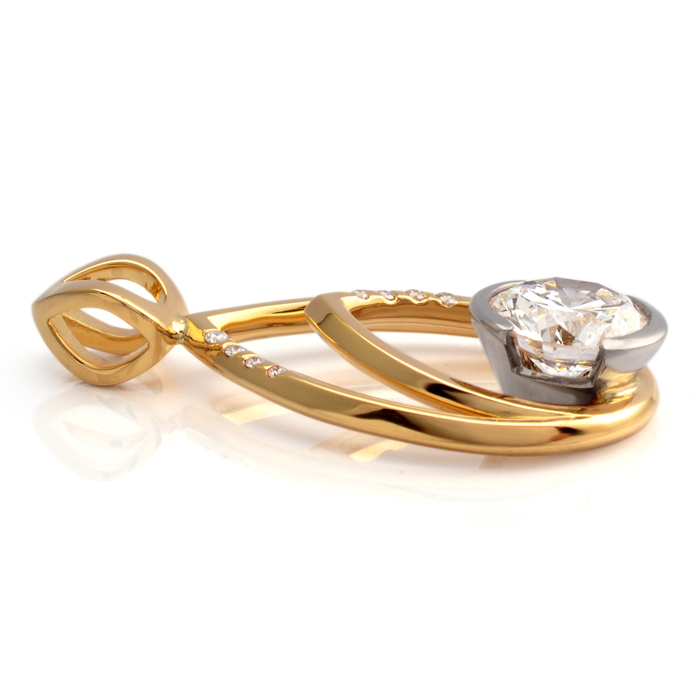 The surrounding arcs are in yellow gold to provide an exciting contrast.